At the Hopkins Center for the Arts Garage this past Saturday, digital musics graduate student Andrew Maillet and filmmaker Zbigniew Bzymek gave two work-in-progress performances of their multimedia adaptation of Polish artist and philosopher Stanisław Ignacy Witkiewicz’s play “Pragmatists.” According to Maillet, the self-described “performer-technician” pair chose to work with the text because they were interested in the themes that Witkiewicz, who wrote during the interwar period between World War I and II, brings up. Most Dartmouth students know from watching a cappella performances at showcases and Greek houses that we have many talented singers on campus, but not many know about the process of arranging the music. The five monochromatic panels behind the Hopkins Center for the Arts that face the Black Family Visual Arts Center are celebratory in nature. Each year, Telluride at Dartmouth brings hand-selected films from the famous Colorado’s Telluride Film Festival to Hanover. 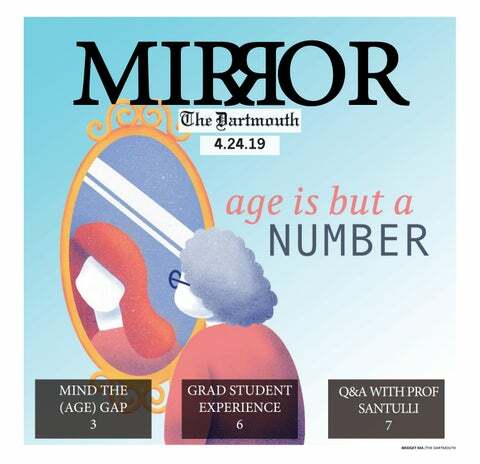 For many Dartmouth students, a drive to learn seems to come naturally; students are constantly engaged in a rigorous 10 week-term of three — or four — highly focused courses and several extracurricular activities. However, once we try to trace back the intellectual motivation that fuels this constant “grind,” we might not always be sure why we do what we do. This past Saturday and Sunday, Dartmouth’s 45th annual Powwow took place in Leede Arena. Despite the rainy weather and resulting move from the Green, the event was successful in celebrating Native American culture and excellence, promoting inclusivity and diversity and honoring veterans and Joshua Monette ’19, a native student who recently passed away. “Lest the old traditions fail.” This is a catchphrase from the alma mater that Dartmouth students hear in several different contexts.